Experts agree that establishing and maintaining a proper latch reduces indigestion and feeding frustrations. That is why LATCH™’s teat was designed to be ultra-flexible so it can stretch, flex and pump just like the breast for an easy, correct, and continuous latch every time. Studies show that 25-35% of newborns may develop colic or reflux, causing disorganised infant sleep patterns. So, LATCH™ bottles were designed with an anti-colic valve at the bottom of the bottle to prevent air from passing through the milk / formula. This is why doctors recommend this bottle to reduce gassiness and fussiness, for better sleep cycles. The ultra-flexible teat on LATCH™ stretches like the breast so it can reach all the way back to baby’s soft palate for an easy, correct latch. 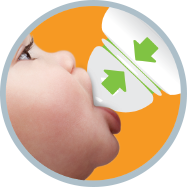 While feeding, the uniquely designed teat flexes as baby’s head moves. 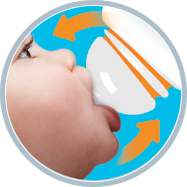 This allows baby to maintain proper latch, decreasing ingestion of air and reducing feeding frustrations for baby. 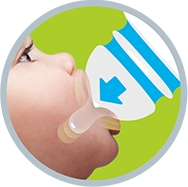 The LATCH™ bottle mimics breastfeeding by releasing more milk / formula as baby applies pressure against the LATCH™ teat’s base. This allows baby to control the flow of milk/formula during feeding. 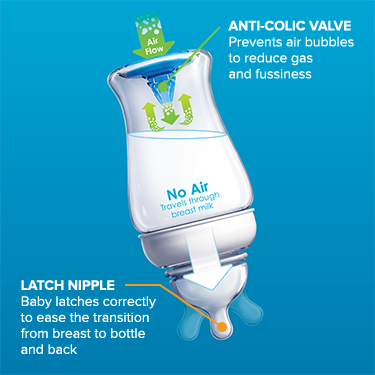 Vents better - LATCH™’s one-way anti-colic valve is located at the bottom of the bottle so air does not flow through the milk / formula. The LATCH™ bottle has a patent-pending combination of an ultra flexible teat and anti-colic valve. 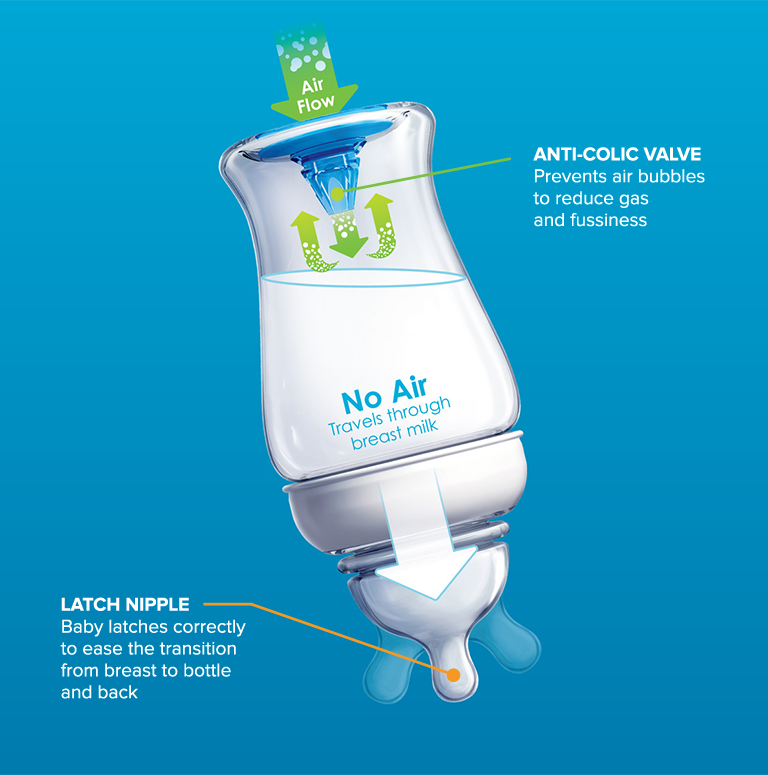 The valve has been shown to reduce gas in babies.